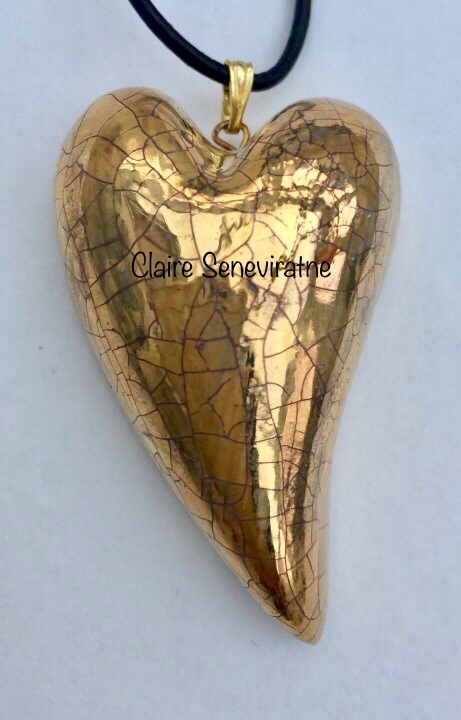 Claire Seneviratne - Ceramic Artist: Gold heart pendant. A lovely gold lustre ceramic pendant with a crackle glaze. This pendant is made of porcelain and is attached to an adjustable leather thong. Width-3 cm (at widest part).